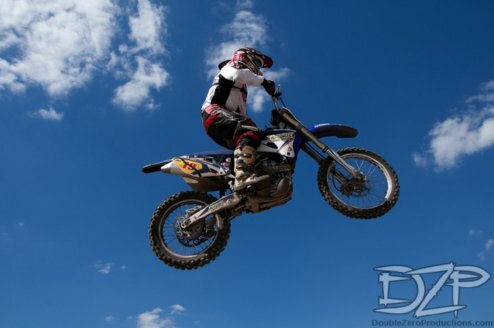 This week end , i ride at the 5 round , il ride in 3 race.it s good trainig for dakar. The seventh stage of the 18th edition of the Rally dos Sertões. 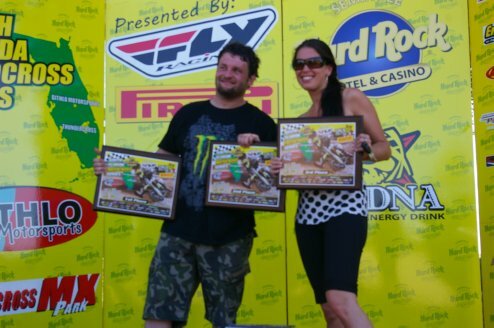 continue to be in the 29th and 13th position Motorcycle and ATV categories respectively. oil of my bike to remove all water. and should be taking as experience. very difficult to take because you have to go to a very low average speed and get tired faster. Completed in the first Super Rally Rally Silver Beach. Now (Sunday)working in the pits to leave vehicles in order for the marathon stage. mechanical assistance can count on the vehicle after a certain stage. they can only clean the filters , only bikes are allowed. This is the 18th Edition of this rally, in total, is 4437 km, between shifts and special. 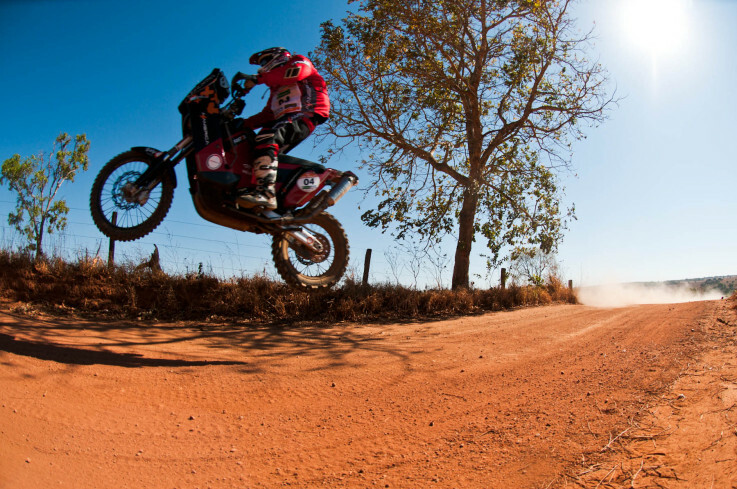 This year, motorcycles and quads, competition will value of the Brazilian championship and the fourth time the World-FIM Cross Country Rally. There are four subcategories of motorcycles and quads and the classification will be based on the capacity of each. timed sections totaling 56% of the race this year. 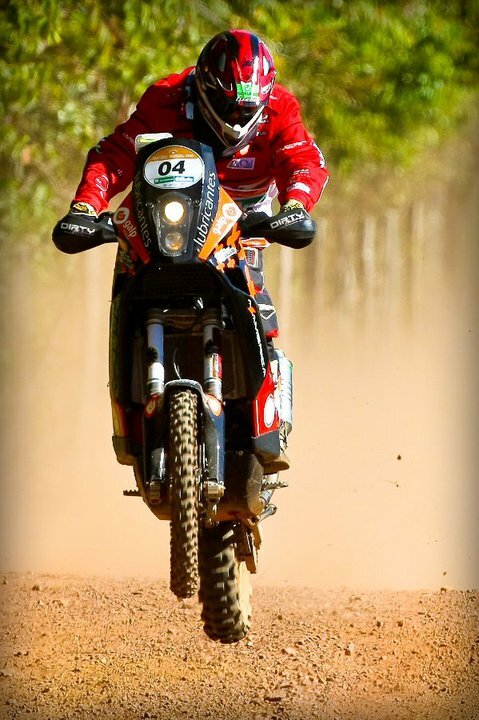 In total, six states of Brazil will be part of the Rally dos Sertões . sub-category, according to the model, fuel type, weight and preparedness. has a motorcycle 690 and the second one quad. The characteristics were more suitable for 450 cc motorcycles. between the edge, on a jump bike is positioned inclined and can not straighten. for the pilot, while on the bike broke some plastics and the gas tank. The latter was that delayed a lot since he had to overcome this problem. the bike took off evil, the fast-paced but never got well. I fell to the KTM broke various plastics. Most important of all was the fuel tank rupture. 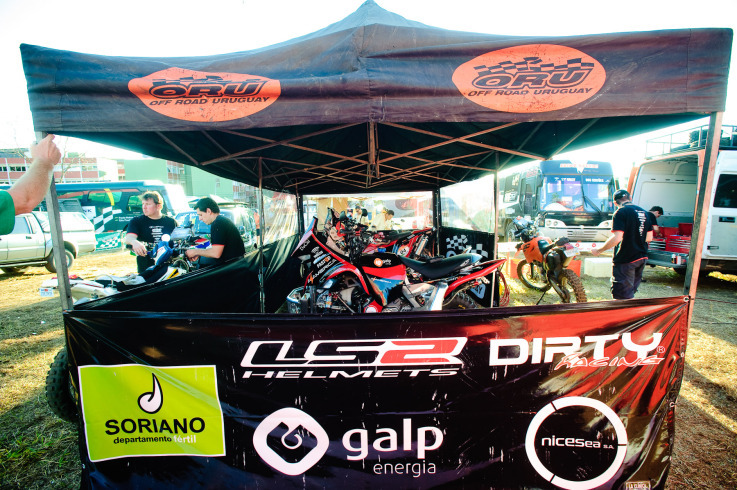 The Off Road Team integrated for the Uruguayan rider Laurent Lazard(#4), the Colombian Antonio Narino (#52), and the Uruguayan Mauro Almeida (#208), they going to participate in the 18 edition of Rally Dos Sertoes. dividing Brazil, Midwest, Southeast, North and Northeast. and Frenchman David Casteau among Europeans. everything in order for those who will be the first step Tuesday. 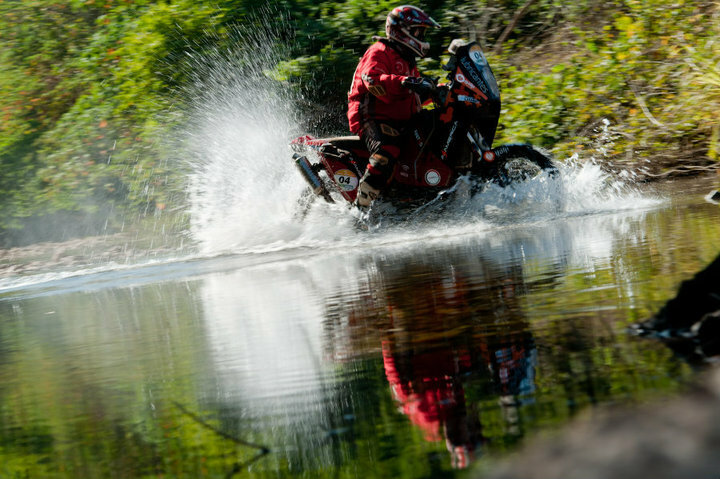 The reconnaissance team led by David Castera has already driven a few thousand kilometres and had some hitches along the way in Argentina and Chile when finishing the reconnaissance of the final route of the Rally Raid. Here is the story of the first reconnaissance tour. It all starts with a dive into mapping software systems for weeks. The IT tool provides a realistic, a precise vision of the terrain where drivers, riders and teams of the Dakar will fight for victory. The stage cities are chosen on the basis of the software assessment. It is then time to go there and check the consistency of the draft route. This is the purpose of the first series of reconnaissance that was completed a few days ago in Argentina and Chile. 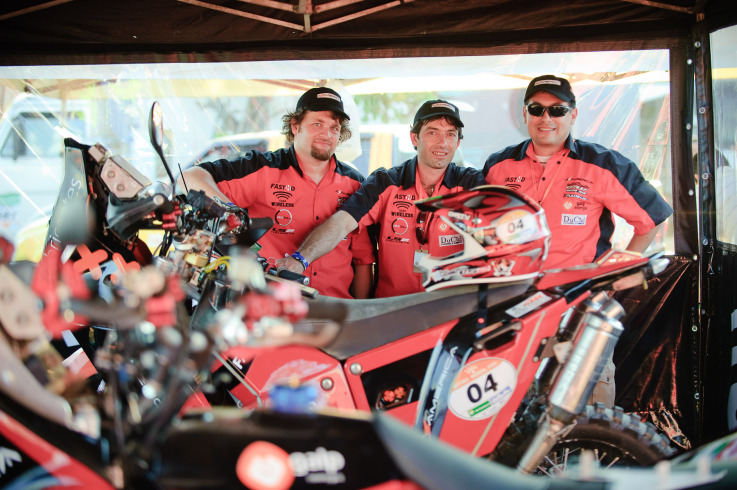 David Castera, the race manager, made three stays in the field with the South-American teams of the rally to check all sites and trails on the agenda. Drawn in details after the first round of recce, the route will then be put forward for approval to representatives of the authorities in charge of environmental protection and to associations in charge of protecting archaeological sites. People from both structures shall also ride along with the team for the second run of reconnaissance that will drive the route once again this summer. For this third Latin-American edition of the raid, the Dakar will pursue its discovery of Chile up to Arica, just a stone’s throw from the Peruvian border. The stay in the Atacama Desert will – once again – be the highlight of the Chilean part of the raid:“Opportunities are almost endless around the two huge sand banks and dunes of Copiapo and Iquique. I keep finding locations each time I go there. The contenders are in for new surprises”, explains Castera talking about the stages designed in the kingdom of off-road rallying.